It doesn’t take much to switch gears into the Holiday season, and with all due respect to Thanksgiving there are already a few christmas trees up here at 305 Fernando St. We have traded in our swimsuits for sweaters and as much as we love the summer months, the holidays have always been a special time of year for us and a special time to visit the place we now call home in the Outer Banks. So enjoy the turkey and oyster stuffing this week and then join us in all of the other Holiday events from Corolla to Hatteras! 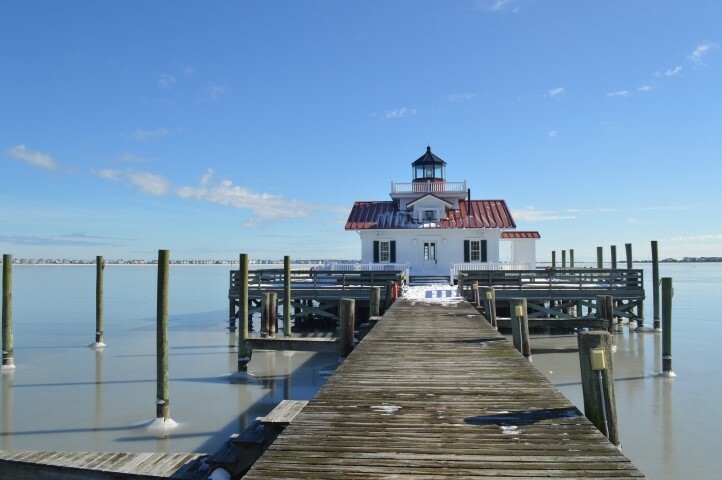 Stay in Manteo on Friday, 11/30 for the Annual Tree Lighting celebration. Enjoy music on the Old Courthouse steps and hot chocolate and other treats provided by the community as you watch Christmas come to life with the lighting of the tree downtown. Events continue to peak on Saturday, 12/1 beginning with Manteo’s 47th Big Little Town Christmas Parade at 10:30am. 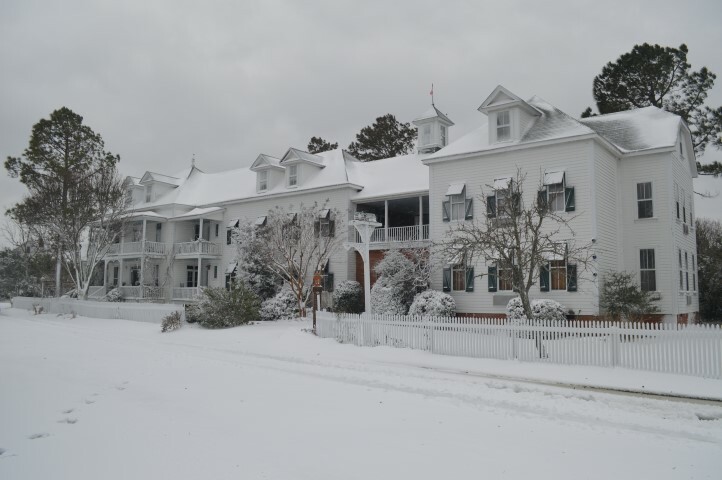 From 12 - 6 tour some of the most beautiful and historic businesses and homes in the Outer Banks (Including The Roanoke) as Manteo Preservation Trust once again hosts the Holiday Tour of Homes. The day wraps up with a walk across the bridge to Festival Park at 6pm for the Christmas Concert Featuring the 208th Army Band. Visit https://www.townofmanteo.com/events for full details on all Manteo events. Elizabethan Gardens Winter Lights - Head to Manteo’s own Elizabethan Gardens by Fort Raleigh for hundreds of thousands of walk-through lights. Running from the Grand Illuminations opening celebration on 11/23 through 1/19, with a Holiday Feast on 12/1 and Woofstocking pet friendly event on 12/5. Candy Bomber - On 12/17 aviation’s most historical site once again plays host to this reenactment of the candy drops over Berlin of 1948/1949. College of Albemarle Holiday Show and Sale - Holiday shopping, refreshments, and food featuring works by the COA students taking place on 12/3. Outer Banks Entrepreneurs Holiday Bazaar - Come out to the Ramada Plaza in Kill Devil Hills on 11/24 and support over 50 local artisans sponsored by the female entrepreneurs of the Outer Banks! Ocracoke Parade of Boats - Looking to head a little further South? On 11/24, Ocracoke will hold its annual celebration of life on the water. 8th Annual Duck Yuletide Celebration - Further North, on 12/1, Duck celebrates the holiday season with Hot Chocolate, Coffee, Treats, and of course a visit from Santa himself. Hatteras Island Christmas Parade - The Hatteras Island Christmas Parade combines local businesses, fire departments, the US Coast Guard, and non-profit organizations in a joyful and small-town parade that will inspire anyone to get into the holiday spirit. And on 12/8, it does not need to compete with many of the other area festivities. Of course these are only a few of the many highlights and events that take place through the Holiday season. From Oyster Roasts and Fundraisers to drag queen brunches at Avenue Grill, there is enough action to keep you busy during during the holidays and through the cold winter.